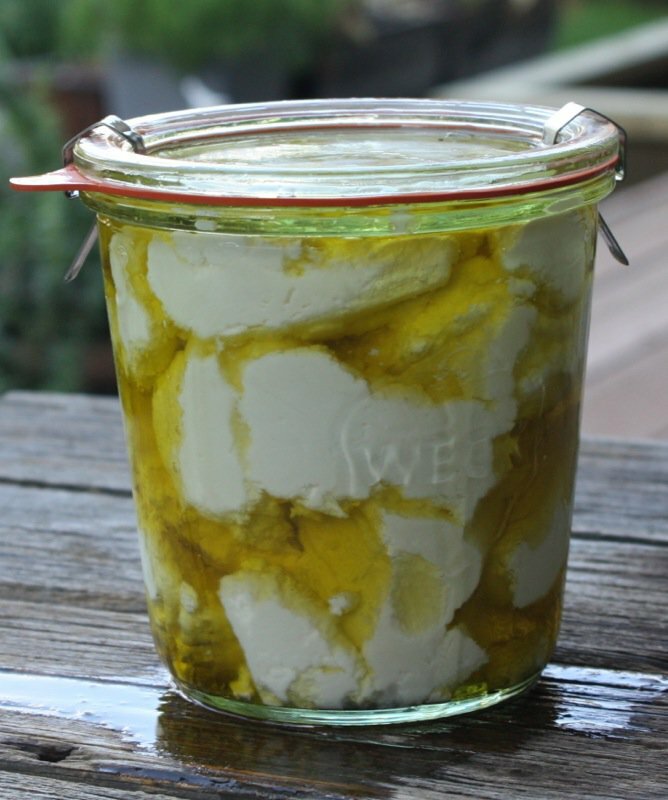 Cheesepalooza Challenge One: Homemade Ricotta! Yes, ricotta! What were you guessing? 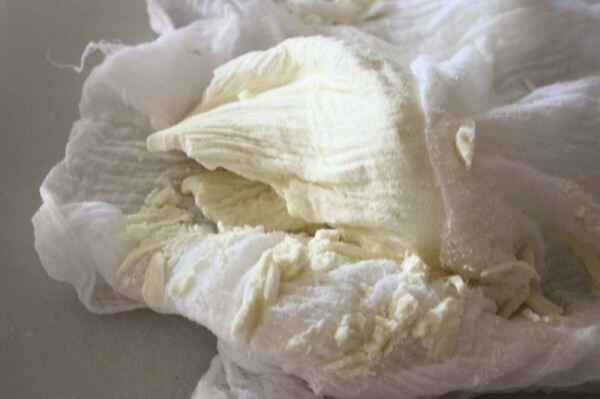 First off, the name itself is a misnomer as ricotta is made with whey and it is the special treat made out of the leftovers from cheese making. Whole Milk Ricotta is a kind of cheese similar to authentic whey ricotta, which we will be making once we make cheese that gives us whey! It is delicious. I have had success with lemon and vinegar. Not with citric acid. Strange, but true. Addie, our scientist, will tell you it makes no sense. I can attest to this through the series of litres of milk used in the trying process. None were wasted, however, as what was produced was still delicious. Just not a curdy ricotta-like cheese. Mary says ricotta is simple. I know it is! 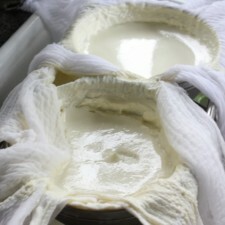 It is my successful ricotta cheese making week that demystified cheese making for me. Well, not exactly. Does that every happen? But, the realization of how simple it was and how fear had been such a barrier to experiencing this triumph much earlier in my life has been the catalyst that initiated Cheesepalooza! Addie, Deb, Ian and I are overjoyed with this project and that so many have come together to collaborate in our year long adventure of artisan cheese making at home. 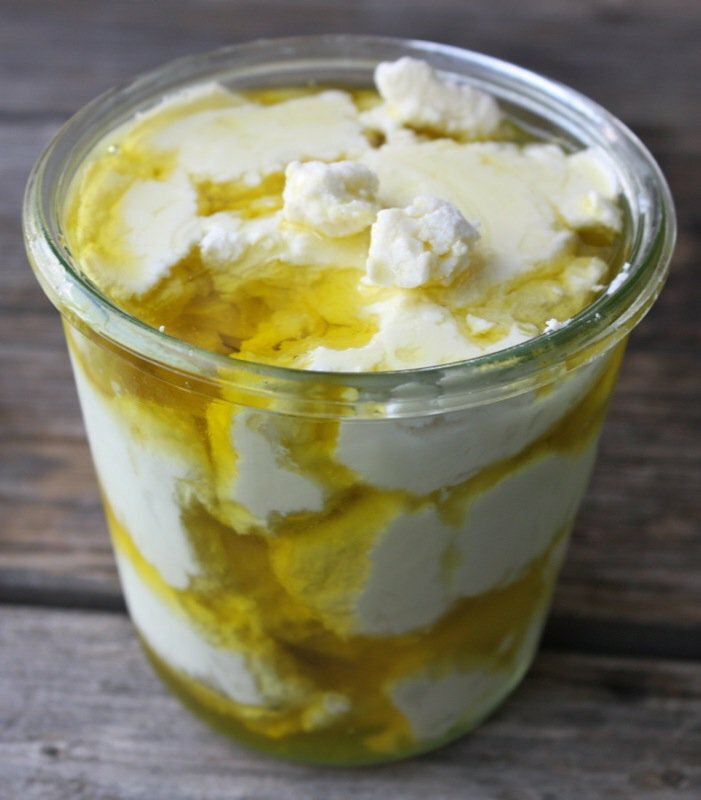 Some of you have already made ricotta, probably many times, and some of you have not even made yogurt. That is how every learning environment is. This will be no different. 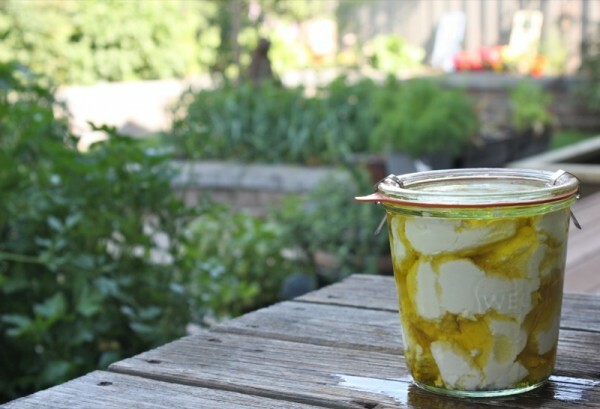 If you have made it before, we challenge you to please do it again, “Mary’s way”, link to your other ricotta cheese making experiences, debriefing them all. Let us know what you think. Which recipe works best for your palate and your locality? 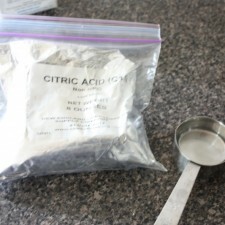 If you have never made it before, you need to find citric acid powder. It will not be hard. 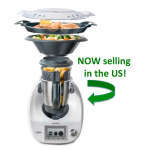 Your drug store or grocer will have it. In Edmonton, the Bosch Kitchen Centre has it. (They also have liquid rennet, which you will need eventually.) 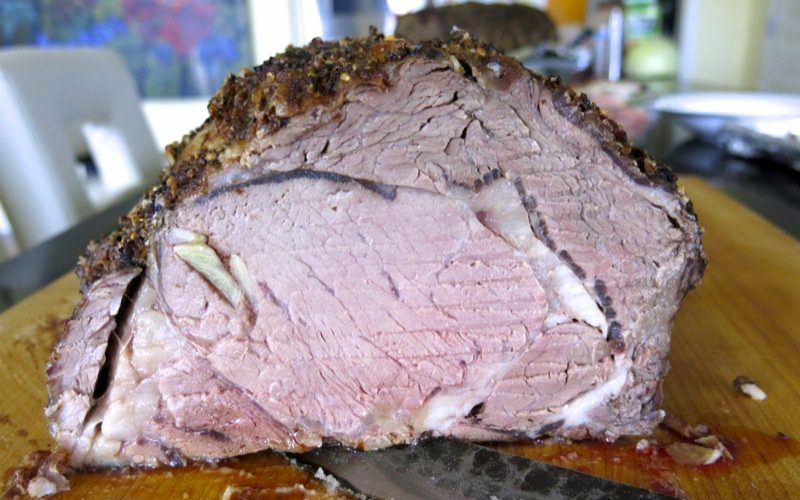 Then, read the recipe a few times, take lots of photos and notes as you go, and write about your experience. IMPT: If you choose to use lemon, as suggested in the book as an alternate to cItric acid, do not add it at the beginning of the process. Add it after the milk and salt has come to temperature. Turn the heat off. Add the lemon juice, stir 3-5 times to incorporate then cover and let sit as per recipe instructions, and proceed from there. Yogurt and Yogurt Cheese I created my own recipe for the Thermomix, but it would work the same way in a pot. Low-fat Panir I haven’t used Mary’s recipe, but made it using Bal Arinson’s recipe. 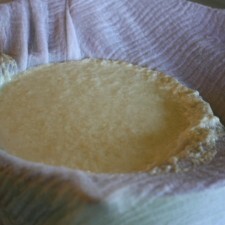 Crème Fraîche I love the recipe I have and use, as well as how I got it and the story behind it. Mascarpone I used Mary’s ingredient list, but not her instructions to make my first batch of Mascarpone. I will definitely be making many more until I find the texture and flavour I am looking for. We shall see how far I get. I have some very big plans to make almost all of the fresh cheeses. I am crazy over fresh cheese. 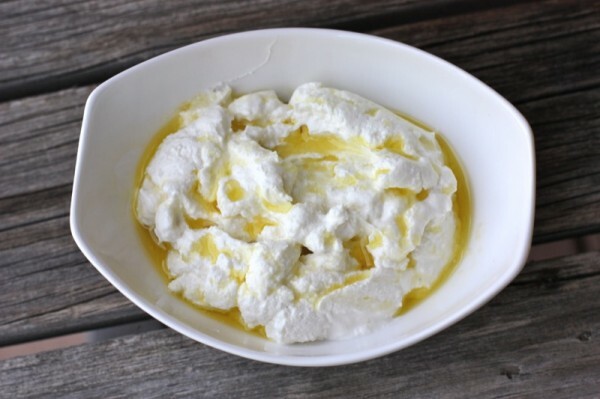 I have made both Dry and Wet Ricotta before and have used lemon and vinegar as the acid. I used the same lovely whole milk from Vital Greens and halved the recipe for my Thermomix experience as it will only hold 2 liters of milk. I followed the recipe exactly, and made it on the stove top for this initial challenge. Both experiences are included here for your reference. SALT: Mary often suggests a specific kind, but the important thing to know about salt, in Ian’s word is “What you want to buy is non-iodized salt. Kosher salt will be fine for cheese making but read the ingredients. You only want to see salt on the list. 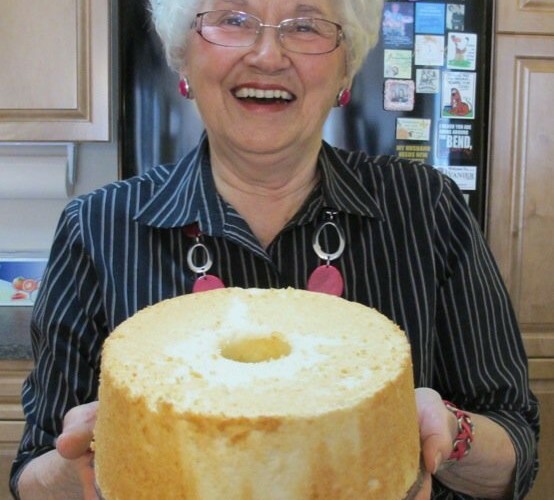 If it has any anti-caking agents in it you might want to steer clear of it as it will impede the aging process. I use either coarse pickling salt (I think it is the Sifflo brand with the jar of pickles on it) or fine pickling salt that I purchase from Bulk Barn in Edmonton last summer; I bought a kg of it for cheap. The main thing is it has to be non-iodized and no anti-caking agents; if you get about a kg you should be set for almost all of the year. 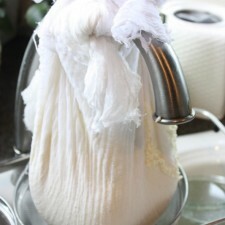 For determining how moist or how dry you want the curds, ask yourself how you are going to use the finished cheese. 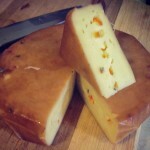 If you are using it as a soft spread filled with dried herbs, you would want the curds to be somewhat moist. 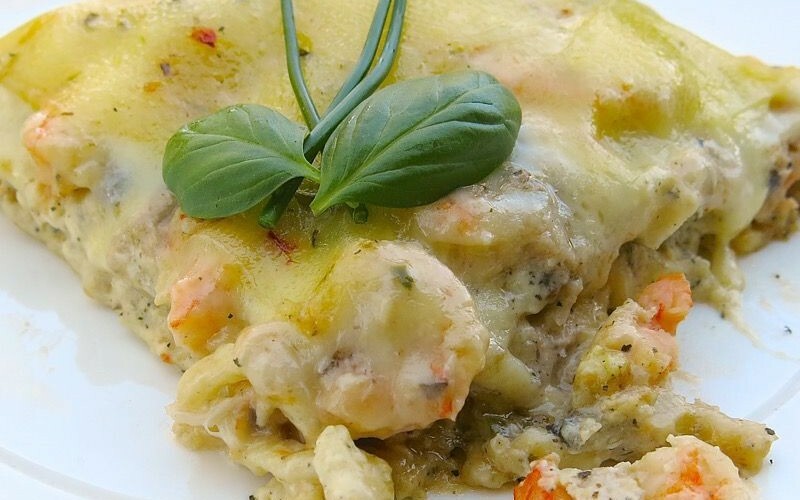 If you are going to use the cheese as an ingredient in a dish such as cheesecake or lasagna, you probably will want the curds to be less moist. 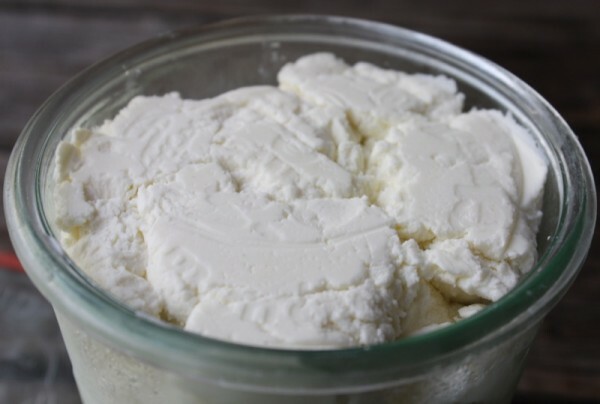 If using this Whole Milk Ricotta recipe as written, it will result in less moist curds, perfect for using as an ingredient. This is partially due to adding the citric acid in the beginning of the process. 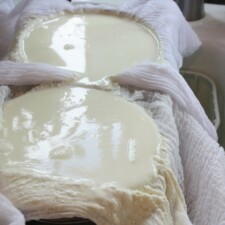 I have presented this process so you can see the changes in the curds as the temperature increases. 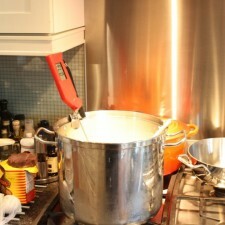 However, if you desire more moist curds, you have the option to adjust the recipe to get that result. 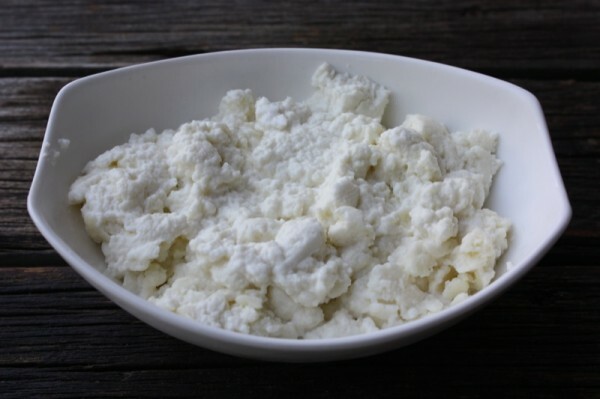 For basic direct-acidification fresh cheeses, the point at which the acid is added as well as the timelines for draining the curds are merely guidelines, as in any cooking recipe. You can adjust both based on the results you want. 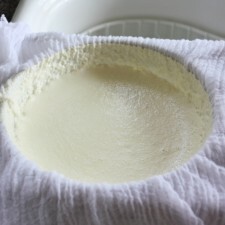 The amount of draining (therefore the moisture content of the curds) is subjective, based on the style you like and the end use. 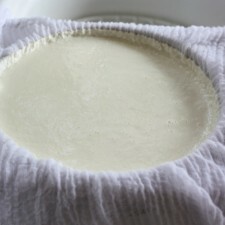 In addition, if you want very fluffy curds, add the acid after heating the milks to 180-185 degrees, continuing to raise to the specified temperature. 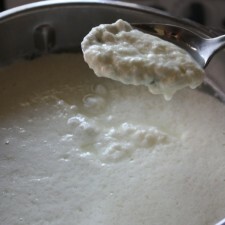 Drain the curds immediately, and add the salt only at curd draining stage. If you like an even richer and creamier ricotta, try making it with heavy cream exclusively or add cream once the curds have drained. I did not experience success using Citric Acid. Addie (our Scientist) says this makes no sense. So, I tried it three times. Same result as above, every time. I knew immediately that I needed more coagulant as the milk had no curd to speak of. “Believe.” I chanted to myself as I double checked the recipe. Yes. Did everything right. Then proceeded. This happened two times. The third time I added more citric acid, and there was a minimal difference in the curd. This “cheese” had more of the consistency of what I would have liked my Homemade Mascarpone to have. Very creamy. In Ian’s words: “light”! I laughed as it was probably so rich. I believe, with not too much to back me up on this, yet, that the heavy 52% cream and the lovely thick organic whole milk used must have had something to do with this. 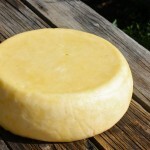 I may have already accomplished the culminating task by designing my own cheese, here. 🙂 I am calling this potted fresh cheese, have immersed it in oil so it will last indefinitely, and plan to use it in dips and spreads. The above recipe will bring good results. I used 4 cups of 52 percent ultra heavy farmer’s cream when making it, and it made a thick, rich, lustrous creamy concoction that was the consistency of a cream cheese, but without the tang. It held a sweet cream flavour. Lovely to mix with herbs or to use like a mascarpone. Some accidents can be happy accidents. Though the initial calculations were correct, according to my original very successful whole milk ricotta recipes, I believe it is the excellent quality of the milk and cream, including the high fat content of the cream that changed the outcome of this supposed to be ricotta-like chees. I decided to try vinegar, next. 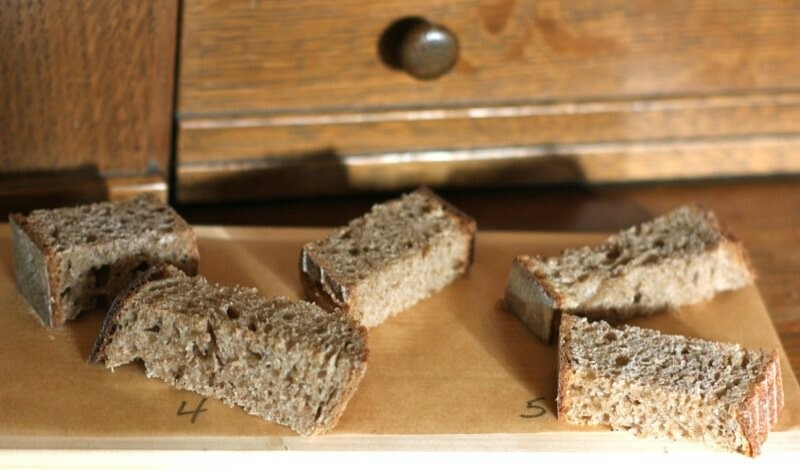 I have experienced success with vinegar in the past and have made some lovely dry ricottas using it. Not this time. And, this time I didn’t use Mary’s proportions. I used the ones I had experienced so much success with using lemon as the acid. The curd, as you see, was very fine, but definitely had more curd than the first one. To experience success, and regain my Whole Milk Ricotta confidence, I went back to my original recipe, and voilá! Odd, this. If I had undergone the Citric Acid making Whole Milk Ricotta “experience” that I have here, initially, I certainly would not have overcome my fear of cheese making. I am so glad I did. “They say” cheese making is an art. I am beginning to understand this. Baby steps. please pose all Q and A here as well as links to other related posts so we don’t miss a thing! Both tastings will be at my house. Instructions will be provided via e-mail. We are so excited about the Mother Culture we made together Saturday. According to Ian, some people do not like to use a Mother Culture possibly because it takes about a day to make. It is a personal preference, really. The Mother Culture extends the life of your culture by about ten times, depending upon how much you are making. It is like a starter culture, used for making bread. Think of it like a sourdough starter that you keep feeding. So, in recipes that call for powdered culture, you look to see the amount of milk in the recipe and then refer to this chart for further measurements. This is based on how much milk you are using. I will be posting how to make a Mother Culture shortly. You are going to have a ball this month! 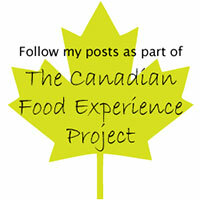 Here are the links to Ian’s, Addie’s and Deb’s posts to give you their perspective on the Whole Milk Ricotta Experience! 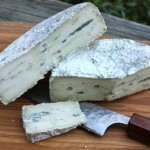 Smoky Valley Goat Cheese has come on board is a partner! Yummy, Valeria. 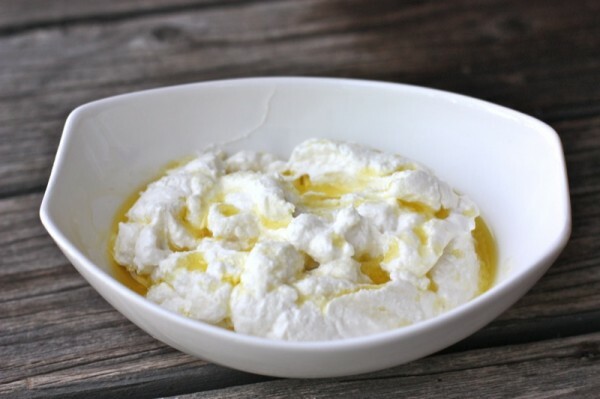 I adore fresh home made ricotta. I could eat a bowl full of yours right now! 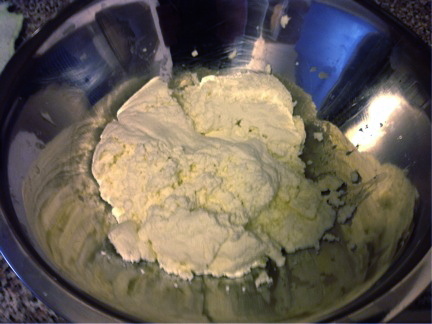 Its quite similar to making paneer, the only difference is adding of heavy cream and salt. Making ricotta is on my mind since I saw baked ricotta with rhubarb compote in Globe and mail. Thanks for sharing. 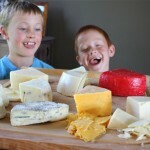 There is such a close similarity to almost all fresh cheeses! I agree with Val here. When my mom was like, “wow, you’re making ricotta,” I had to inform her that it’s basically paneer except that paneer is way drier (and hence less creamy). Thanks for this question in case others are thinking the same way! We four will always post at the beginning of the challenge, and everyone else on the last day of the month! 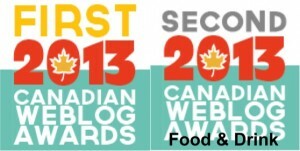 Cannot wait to see your cheese, and hope you can carpool with a Calgary group up to an Edmonton Tasting…. and if not, hope you arrange your own little group get together and Tasting down there! i would love to make cheese for the day! if there is room i’m in! Good work. Love the pics. Interesting & useful note about the citric acid not working. Maybe a bad batch of citric? I have sometimes added a pinch of buttermilk to give the ricotta the slightest tang from to round out the lemon flavor a bit. Thanks for posting. I am reading them all. What a great idea with the buttermilk to counter the lemon flavour. Cannot wait to try it! I’ve heard ricotta is one of the easier cheeses. 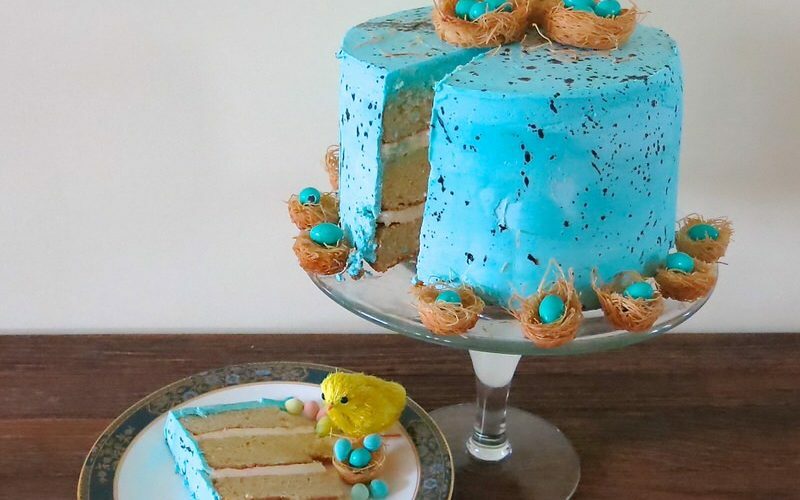 I really want to try making it. 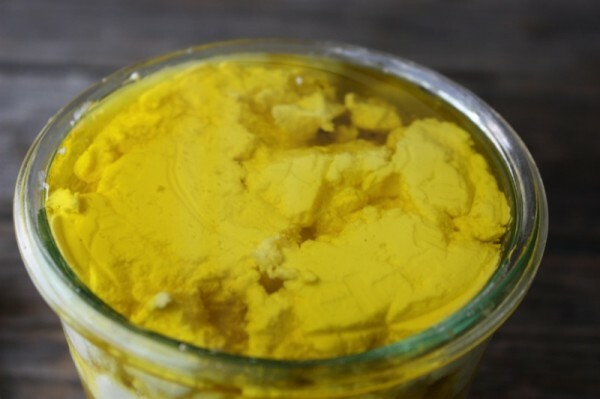 I was thinking about the curd formation with the citric acid, and I am wondering if the fat content of the cream would be the issue. Did you use the 52% heavy cream? 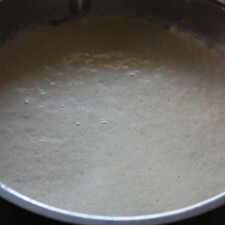 This possibly could have caused the poor curd formation as the recipe is based on 35% heavy cream and the citric acid amount is based on this. 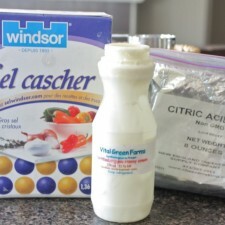 Addie, in his post, mentioned that his did not form good curd and he added a bit of vinegar to help and suggested that the next time he up the amount of citric acid. Ah I see the answer to my question already. 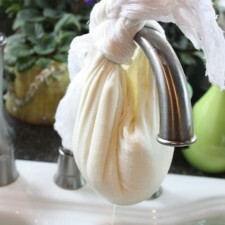 I was a little confused too but good to know I still have a month to make ricotta! Love the challenge. Too bad I don’t live nearby as in would have loved to join the tasting too! 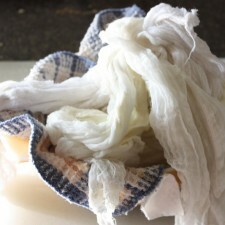 If I can find citric acid and the cheesecloth I will be starting this weekend! I am just seeing Ian’s comment also on the heavy cream fat content. We only have one kind here so that’s going to be interesting to find out what works and what doesn’t! I am looking forward to your photography as much as you cheese! I am afraid I am a bit confused. For some reason I thought that every month there would be a selection of cheeses to choose from, rather than only one. So, let me make sure I understand: in order to participate with a post, one MUST make the recipe and COULD make one of more from the list of optional cheeses. Is that correct? Thanks! There are a series to choose from – we are encouraging everyone to make one that is the same for comparison and learning purposes, and then for those that really want to delve in, to choose from the others. For example, it is my goal to do almost all from Chapter 2, yet can only really count on getting collaborative feedback on the ricotta as the group project. 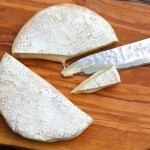 Though, know there will be others that engage in more experience and am pretty sure that I will get more collaborative feedback for the other cheeses I am making, as well. Make sense? Lordy I’m behind. I haven’t made mine yet. I will do this tomorrow for sure! Not at all behind! You have the next couple of weeks! Alright, cheese people, I need HELP!!! I made my ricotta, and it got hot enough but only baby curds. I strained it anyway, and now I have milk with baby curds! Nothing stayed behind except a teeny tiny bit of curd. I used citric acid, so I am considering lemon juice instead? Any ideas? 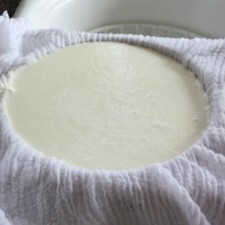 If you had used cheesecloth from the fabric store folded a couple of times, the whey should not have any cheese lumps in it and all the little curds should have been caught in the cloth. If you still have it, I would suggest straining it again. Meanwhile, did you put the citric acid in with the milk and the salt as the recipe said? What milk and cream did you use? I just made mine finally again this am. 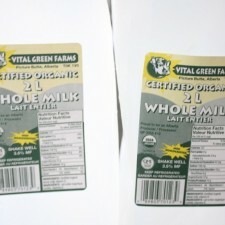 I used 1 1/2 teaspoon of the citric acid with the Vital Greens whole milk and 1/2 cup of the cream. I followed everything else exactly. 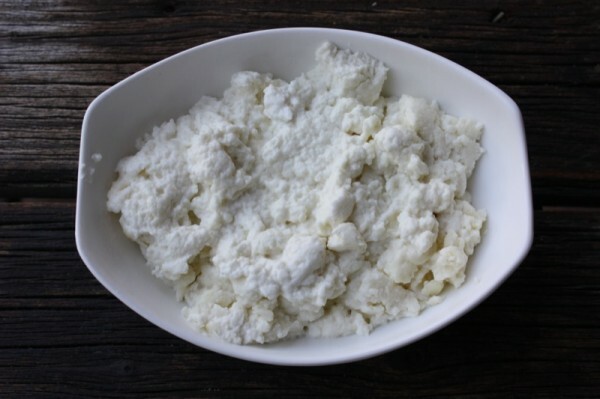 I found at the 3/4 point, it was clear I was not going to get “fluffy curds” so added two 1/4 teaspoons – sprinkling them over and stirring them in. My ricotta is STILL cream. I did get nice curds, but not dry ones, by any means. This is a very different process that the first one I used, as that one I heated the milk, added the coagulant (lemon) and waited for 10 minutes and it was good to go. 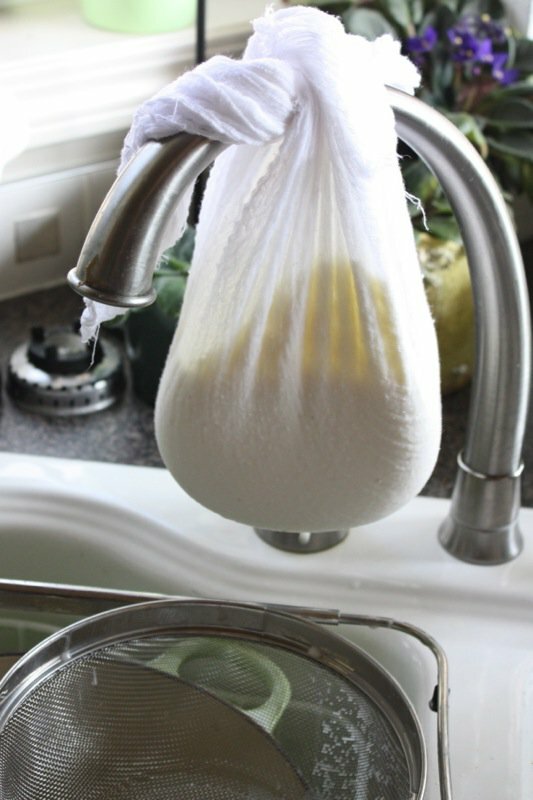 This recipe, the curds actually cook… mine is still hanging. I got a LOT of whey and not as much curd as I think a gallon of milk should provide, but I will weigh it later. If you do it with lemon, you will get a lemon flavour, but it will work… vinegar will work, too – and, theoretically the citric acid should. So, try more. I persevered and it worked and I LOVE IT. My “failures” were still tasty and useable, so no money was wasted. This I always worry about! I realize I have all of this information, but with so many coming in, this makes it easier for me to post on the round up! Valerie, will you include the optional cheeses in the roundup? I was going to do an optional cheeses round up post! I haven’t published them yet… but you did see them in photos if you read often. I have a really good recipe for cheese crackers I am going to post, but the Daring Bakers just did a huge cracker round up in June and if you google Daring Bakers Crackers, you will find hundreds of ideas. I will post mine, soon! I could e-mail you the recipes?